This printable Easter game will make your Easter egg hunt fun for all ages! "Mommy, can we play an Easter game?" It certainly didn't feel like Easter was coming, with the remnants of a surprise spring snowstorm still in our yard. But, we had done our St. Patrick's Day scavenger hunt to great success and my boys know that Easter is the next holiday, so they were ready to get out the plastic eggs and have some fun. It was too early for a real egg hunt, but I thought of something that we could do now that would still be fun when the bunny comes on Easter morning. And so our Easter Egg Bingo was born. 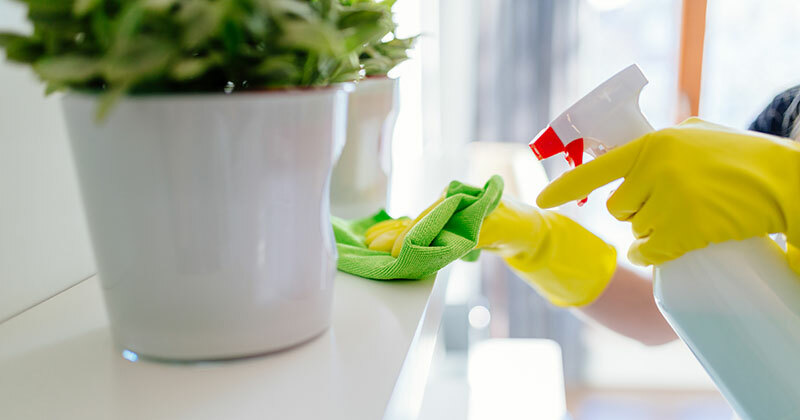 We all know how to play Bingo - it has quickly become a favorite in our house, and it's great for kids to practice matching and counting skills. And it's really fun! When my boys were looking for an Easter game I knew that they would love to play Bingo, but I wanted to give it a few different ways to play to last through the season. We had a big bag of leftover plastic eggs from last Easter, and they were the inspiration for this new version of Bingo. This version of Bingo is based on, you guessed it, Easter Eggs. 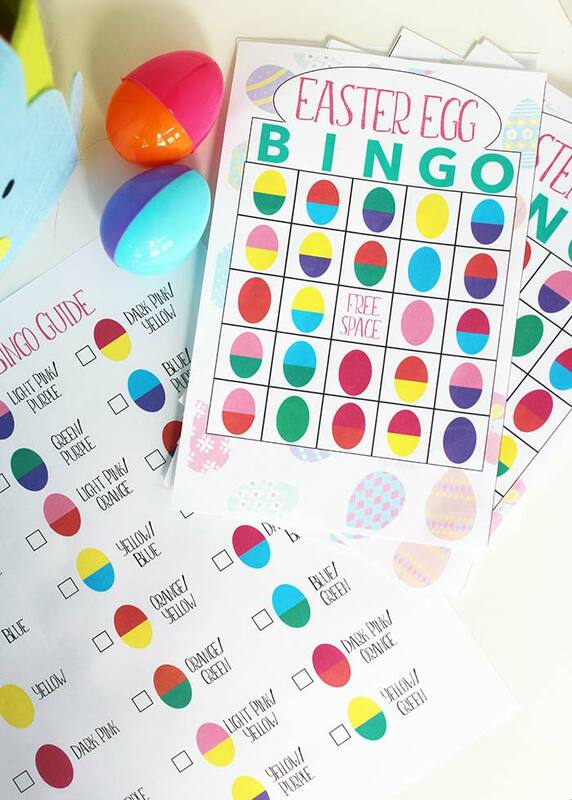 In the printable set you'll find 10 bingo cards (5 sheets, two to a page) and an Easter Egg Bingo guide. 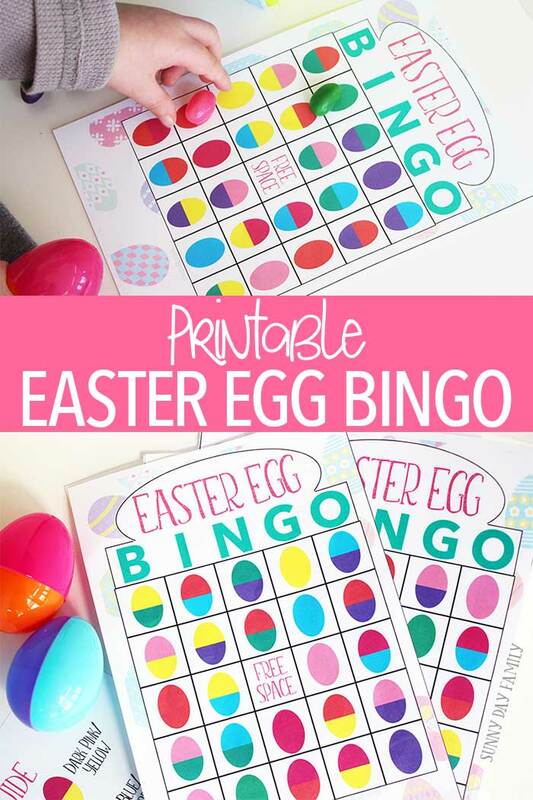 The guide will show you the 24 different color variations of eggs that are on each Bingo card. 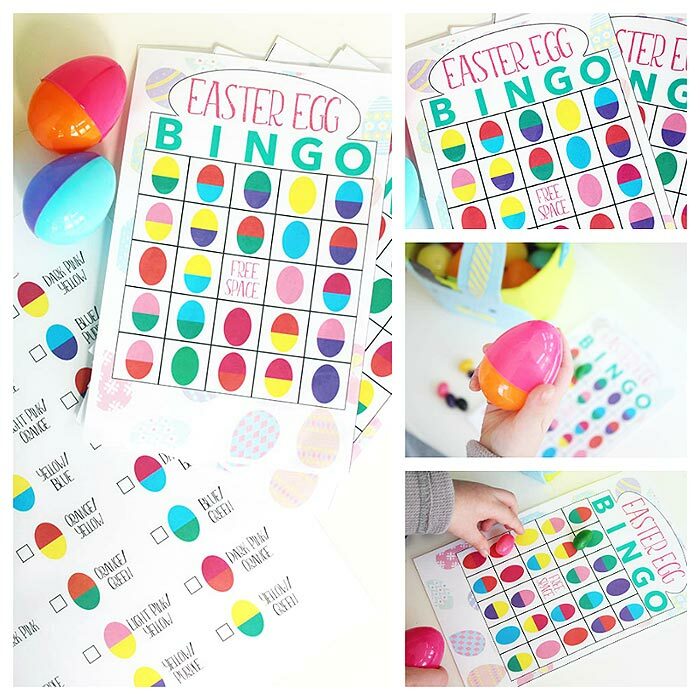 Get your printable Easter Egg Bingo set by clicking the button below, and keep reading for all the fun ways to play. There are a few ways that you can play Easter Egg Bingo. 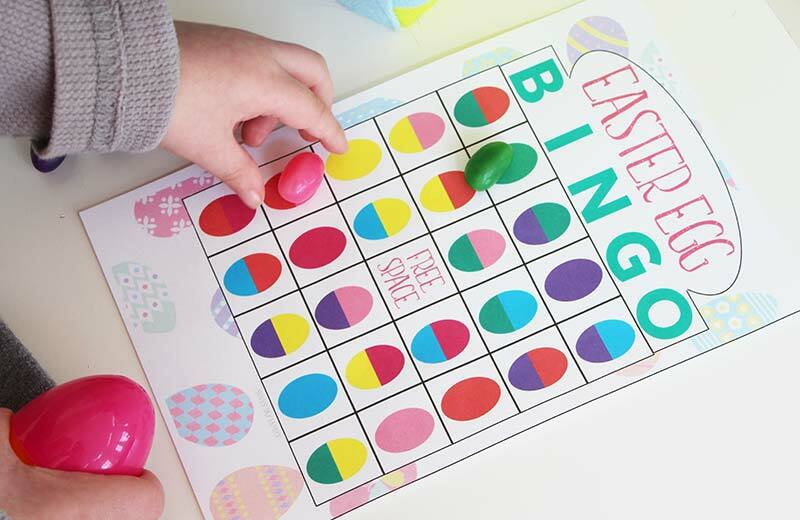 If you don't have plastic or real eggs handy, you can use the Easter Egg Bingo Guide to simply call out the different colors of eggs and have the kids mark their cards accordingly. This is a great way to play with kids who are still learning the names of each color as it will require them to recognize them without seeing an example. You can also play with plastic eggs or real dyed Easter eggs. Simply use the guide to put together a set of 24 eggs that matches the colors on the chart. Place them in an Easter basket or bag, and choose one at a time. Show the kids the egg that you've picked (or let them take turns choosing) and then let them mark their cards. This is how we played and it was super fun! PS - Jelly beans make great bingo markers for this game! 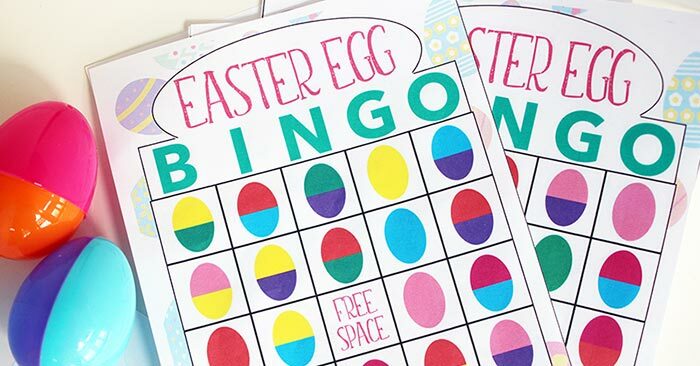 Finally, and most fun of all, you can incorporate Bingo into your Easter Egg Hunt. 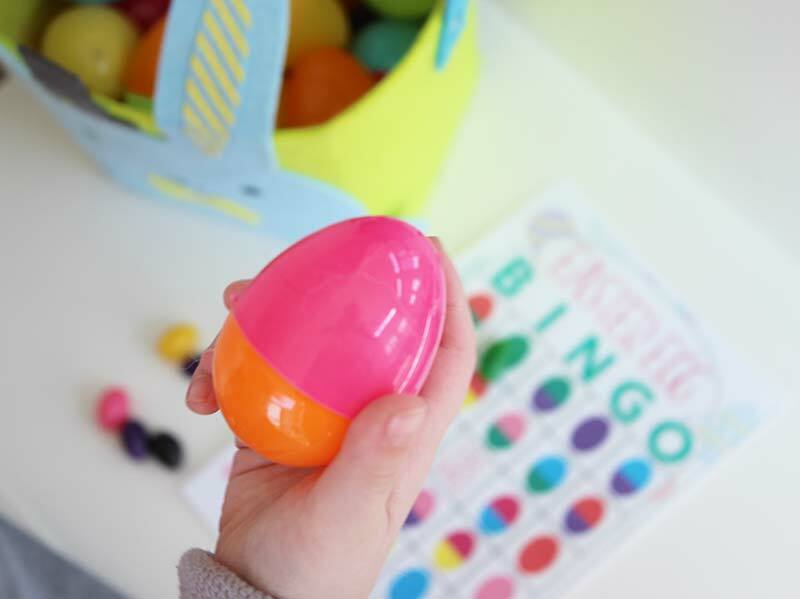 Give each child a card before they head out to find eggs, and give an extra prize to the first person who finds the eggs that gives them a BINGO! This is a great way to make your egg hunt last a little longer, gives older kids a challenge, and is truly fun for all ages. I can't wait to try this version with my boys - they will love it! Find all our Easter ideas here - crafts, printables, activities, and more!